It’s finally here: NFL training camp. That time of year when football rosters are almost doubled in size in teams’ attempts to get the best players possible playing for them come September. There are many players who are participating in training camp who will not see the field come the regular season. Fantasy football owners everywhere are looking for those end-of-draft/depth players who have chances to contribute on their fantasy teams. 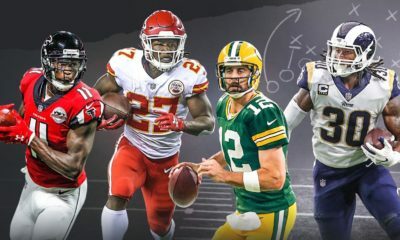 There are roles on almost every team that are up for grabs in training camp that can offer some potential production for fantasy football. In this series, we shall take a look at those roles and the players who are vying to fill them. These are the fantasy relevant training camp battles. We shall look at these important competitions for the AFC East. In this series, I am omitting players who will obviously not only make the team, but start as well. This includes players like Kelvin Benjamin, Ryan Tannehill and Chris Hogan. First-round pick Josh Allen is being brought into the offense slowly, as he almost always works with the 3rd stringers. He has looked adept at avoiding pressure and making completions while scrambling. He will probably get some first-team reps at some point during training camp, but for now, Allen needs to be patient. Through the first week of training camp, AJ McCarron and Nathan Peterman were alternating days for first-team reps. Day 7 of camp, however, was different. McCarron took the first-team reps for the second straight day. The reason seems to be that his ball placement is better than that of the other two. However, on Day 8, Peterman took over first-team reps, but since the Bills worked a lot in the red zone, both players got their chances. Clearly this, like other training camp battles, has not been settled. Watching college film, it does not look like Allen is quite ready to play in the NFL and could benefit from a season on the bench. The wild card here is Head Coach Sean McDermott, who inexplicably benched Tyrod Taylor last season while the team was in a playoff race. It only lasted one half of football, as Nathan Peterman looked dreadful. The point is, I have no idea how McDermott thinks when it comes to QBs. The Kelvin Benjamin and Zay Jones are back and slated to return to the starting lineup, along with Jeremy Kerley likely starting. However, with Jones absence from training camp, due to offseason surgeries, the Bills might look to Kerley for production this season. That was my thinking until the Bills traded to get Corey Coleman from the Browns. As a former first-round pick, Coleman is a safe bet to make the final roster. That leaves three or four places on the team for several WRs to compete for. None of them are truly standing out, but Brandon Reilly has taken some first-team reps lately. Quand Bray, Kaelin Clay, Ray-Ray McCloud and Austin Proehl have all done work returning either kickoffs or punts. A couple of WR spots on the roster may be used on players who excel on special teams, so that is something to look out for. Overall, there may not be too much potential for production from the WR4 on the Bills, since I believe that this team will really struggle this year. However, if Kerley is released, the starting slot WR spot will be open. If Zay Jones does not move to the slot, there may be fantasy value to be had for someone else. Currently, Kaelin Clay is listed second on the depth chart for the slot WR position (according to Ourlads.com). The lead RB for the Dolphins is up for grabs. Considering how well Kenyan Drake finished 2017, you would expect him to enter 2018 with the keys to the backfield. However, Frank Gore was signed as a free agent and Kalen Ballage was drafted in the 4th round. Needless to say, the Dolphins felt the need to bring in competition for Drake. All three RBs are getting work receiving passes in training camp. Dolphins RBs caught a combined 70 passes last season, a number Head Coach Adam Gase probably wants to increase. Having all three RBs as capable pass catchers allows the Dolphins a certain amount of unpredictability no matter who is on the field. Furthermore, Drake and Ballage have both returned punts in practice. It makes sense for a rookie to get time on special teams, but not a workhorse RB. Even if Drake is the starter, it seems unlikely that he will receive a significantly heavier workload than his backfield-mates. This makes Drake a risky selection, considering where he is being drafted right now. The Dolphins lost their team leader in receptions for the previous four seasons: Jarvis Landry. 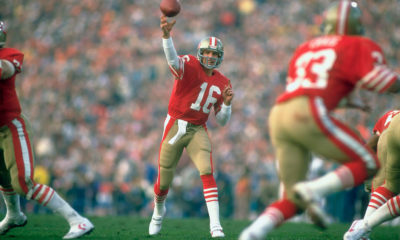 Over that time span, he accounted for an average of 141.75 targets per season. DeVante Parker and Kenny Stills have the outside WR spots basically locked down, but that still leaves a vacancy at Landry’s former position, slot receiver. The Dolphins brought in two free agents to operate as potential replacements and had 7th round pick from last year, Isaiah Ford, on the roster. One of those players will take over as the starting slot WR. The questions are who and will that player see the majority of the snaps? To answer the first question, Danny Amendola is most likely to be the starter in the slot. He has worked mostly with the first-team offense, while Albert Wilson has been operating with the second stringers. Both players are also fielding punts during practices. Perhaps it is asking too much for either one to come in and replicate what Landry did. I can see both Amendola and Wilson seeing time on the field out of the slot during the regular season. Isaiah Ford, meanwhile, has been dealing with an injury and has missed on some valuable practice time. It is a long shot for him to take a roster spot away from Amendola or Wilson. Amendola looks to be a good late round pick in fantasy drafts. This is especially true in PPR leagues. At times, the Dolphins do like to operate with two tight ends on the field. One TE is usually a designated blocker, while the other is what we call a ”move” TE, a player who will be used as a receiver more than a blocker. Currently, second-round rookie Mike Gesicki is already listed as a starter on ourlads.com’s depth chart. AJ Derby and Gavin Escobar were both free agent signings, so all three players are new to this offense. Gesicki has taken advantage by taking a lot of first-team reps and producing in practice. He is getting TDs in red-zone and goal-line situations with both Ryan Tannehill and Brice Petty at QB. Of all the Dolphins training camp battles, Gesicki at TE seems to be the closest to a closed case. As we have seen in the last few seasons, the Patriots play RBs who excel at a certain role. For instance, James White is so good as a receiver, that his role is all but guaranteed. Brandon Bolden’s status on the team has more to do with special teams than his role in the offense. 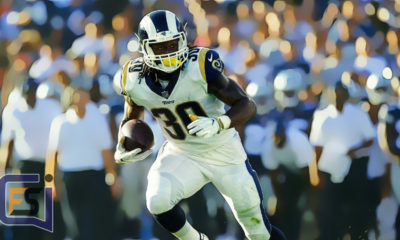 He will probably make the final roster and once again be a player that fantasy owners can ignore. One player who recently excelled in a specific role with the Patriots is LeGarrette Blount as a goal-line RB. He scored 18 TDs in 2016, so there is potential production for that type of player. Neither Mike Gillislee nor Jeremy Hill are known for their pass-catching skills, and they are probably competing against one another for that goal-line role. Currently, Hill has the edge since Gillislee has missed time due to injury. Although once he returned, Gillislee was productive. He was even catching passes with the third team. This is one of many training camp battles that will come down to the wire. The question of who will lead the Patriots backfield is difficult to answer. The two most likely candidates are Rex Burkhead and Sony Michel, as they allow for running and receiving versatility from the RB spot. Michel was having a pretty good camp, catching passes and scoring TDs in goal-line duties, until he injured his knee. The time he misses might allow Burkhead to further establish himself. Burkhead has been productive in goal-line work and he might be the Patriots RB to own in fantasy for 2018. Maybe I am assuming, but Julian Edelman and Chris Hogan will be the top two Patriots WRs in 2018. Their rapport with Brady means that even though Edelman will be suspended for four games, and Hogan can be cut this year without salary cap ramifications, they are virtual locks to make the roster. That leaves maybe four roster spots for the other WRs. That includes a starting spot in 3WR sets, a potentially productive position. Philip Dorsett and Cordarrelle Patterson are both getting a lot of first and second-team reps, and they both seem to be excelling with the opportunities. Dorsett is seeing time in the slot and outside. That type of versatility will allow him to be productive during and after the Edelman suspension. 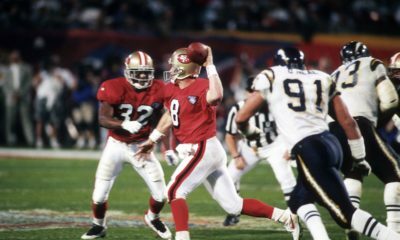 Patterson was brought in to be a return specialist, but he is scoring TDs on offense with both Tom Brady and Bryan Hoyer as QB. His role as a returner might not be a lock with sixth-round rookie pick Braxton Berrios among the players returning punts and kickoffs. Berrios has had some ugly moments (drops, fumble) but he has also made some good plays. Our final three players have not made much impact at camp yet. Kenny Britt has been rehabbing from injuries, allowing other WRs to build chemistry with Brady. Eric Decker was signed after Jordan Matthews was injured and subsequently cut by the team. Apparently, Decker ran crisp routes and made some good catches. If he quickly gains a rapport with Brady, he may earn himself a spot on the final roster. Regardless, the Patriots have several good options at WR. My best guess is that of the six players outlined here, Decker, Dorsett and Patterson have the best chance at producing for fantasy owners in 2018. 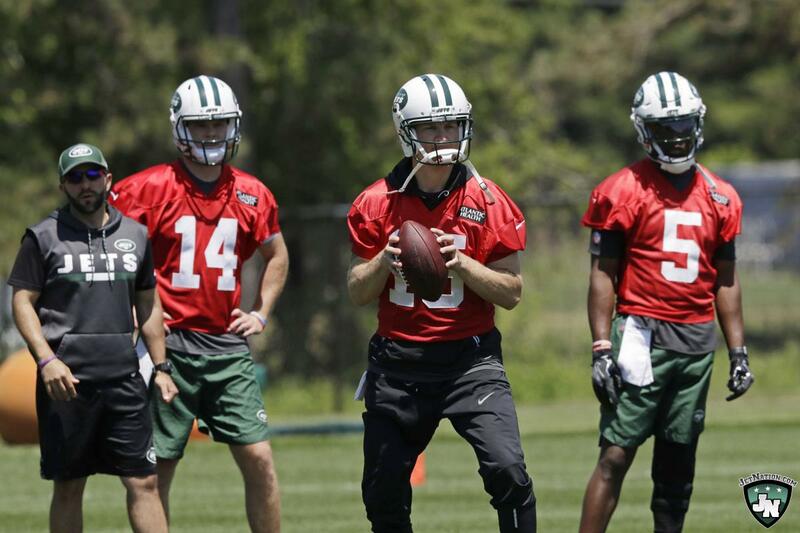 The Jets may have one of the most crowded QB rooms in the NFL. All three of these players can legitimately be the week 1 starter. Josh McCown has the advantage of playing with this team last year and has a rapport with Offensive Coordinator (and QB coach in 2017) Jeremy Bates. Sam Darnold was drafted 3rd overall this year, so the Jets have a lot invested in him. Bridgewater is the darkhorse. A freak knee injury ended his tenure as the starting QB for the Minnesota Vikings, but he has shown the ability to win games. McCown has gotten most of the first-team reps in training camp and has performed well. I believe that Jets Head Coach Todd Bowles has McCown in mind as the week 1 starter, right now. The recent Green & White open practice featured mostly scrimmage situations, divided into three periods. For most of the last hour, Bridgewater and Darnold were the QBs on the field. My guess is that the coaching staff is trying to determine who will be the better backup QB for 2018. Quarterback is such an important position and the Jets would probably keep three if they thought Darnold wasn’t ready to step in at all. If Darnold proves that he can handle that role, then Bridgewater will likely need to beat out McCown in order to remain with the team. For his part, Bridgewater is moving well out of the pocket and he may finally be back to where he was before the knee injury in 2016. But will it be enough to win the Jets starting QB job? The position of Jets lead back is wide open. The team brought in veterans Isaiah Crowell and Thomas Rawls to compete with incumbent Bilal Powell and a 2017 rookie Elijah McGuire. Add to that list Trenton Cannon, a sixth-round rookie from this year’s draft, and the wide open RB room feels very crowded. One development that might air out this room is the broken foot suffered by McGuire. He is expected to miss six weeks and he could potentially be put on IR to start the season. He may hold value later in the season if he heals properly, but let us focus on week 1. Crowell and Powell have both had time with the first-team offense. Crowell, in particular, is seeing targets, albeit in goal-line and short-yardage situations. During the Green & White practice, rookie Trenton Cannon was running slant routes and catching passes from both Bridgewater and Darnold. Catching the football was supposed to be a reason that Powell would make this team, but with Crowell and Cannon showing well in that aspect, Powell might be expendable. The one aspect working in Powell’s favor are the injuries to McGuire, and to a lesser extent, Thomas Rawls. Rawls has also fumbled before his injury, so he may be a camp casualty. Either way, I think that the starting job probably won’t belong to Powell. Right now, Crowell is the Jets RB that fantasy owners should target. We thought the Jets RBs were difficult to determine. Wide open certainly describes the WR situation. There is a mix of veterans who have been with the team, new arrivals via free agency, as well as two rookies from last season. In the first week of camp, Robby Anderson and Quincy Enunwa were getting the most first-team reps, however, both players come with question marks. Anderson may face a suspension and Enunwa is coming off a neck injury. To make matters worse for Enunwa, he has also recently injured his hand and will miss a week or two. Suddenly, a situation that could have been rather clear is now quite convoluted. Jermaine Kearse has had some rapport with Darnold, after connections on some back shoulder passes. His veteran presence alone is enough to help Darnold. However, he can be cut with no dead money for the Jets, so there is a chance that he is not on the team in September. ArDarius Stewart, a third-round pick from last year, is facing a two-game suspension to start the season, a year after only catching six passes. Needless to say, he is also in an uphill battle to make the team. His biggest competition might be a fellow 2017 draft pick in the form of Chad Hansen. It probably won’t be Terrelle Pryor, who has yet to practice with his new team. See what I mean by wide open? I’m not sure if there is a safe bet to make the roster at all. If there is, it is probably Robby Anderson, a year after he found success as the go-to target in New York. Enunwa and Kearse are both capable of producing decent fantasy scores and probably will if they both make the team. I was tempted to omit this positional group. The Jets TEs haven’t exactly been lighting up the scoreboard in recent years. Last year, Austin Seferian-Jenkins was the exception to that, but he left as a free agent. He leaves behind a group of players that fantasy owners should probably ignore in drafts. However, there may be some streaming appeal to whoever wins the starting TE job. Neal Sterling has spent a decent amount of time with the first-team offense and capped off last week with a very good performance in the Green & White day. In that scrimmage-based practice, he caught three passes, all of which went for at least 20 yards, showing his ability to get downfield. He is most likely competing directly with Clive Walford. Both players’ contracts would no longer count against the cap if they were cut, so it is unlikely that the Jets will keep both. Rookie Christopher Herndon and second-year player Jordan Leggett are probably making the team, but I’m not sure if either will be worthy of fantasy roster spots. For any questions or comments, I can be found on Twitter @nyama_ks.